Aubre Hill is an international dance artist, choreographer, master teacher, and event producer. Aubre has been a professional dance artist for over twenty years including touring and assistant directing large ensembles across the United States, Europe, China, Taiwan, and Japan. She has directed numerous dance companies in full theatre productions as well as nightclub, weddings, and cultural context environments, and has trained and taught a generation of dancers some of whom have moved into full professional careers within dance. She was on faculty at California State University, Los Angeles department of Kinesiology teaching acredited courses in pilates, fitness, and dance for over 10 years. She owned and directed Movement Art Space, a dance and fitness studio in Los Angeles offering education for all ages and levels for three successful years. She can be seen as a featured artist in numerous films and videos as well as was the bellydance hit sensation of FitTV with her “All Stars Workouts”. Aubre has choreographed full dance theatrical productions including “The Nutcracker~ a bellydance tale,” “Sketches of Arabia,” “Nights of Arabe,” and more as well as is the artistic director and choreographer for the Lumina Dance Company (now in it’s 13th year), the Qabila Folkdance Company (a company focused solely on Arabic folk dance and celebrating it’s seventh year), and the Beyajja Dance Theatre (a Raqs Sharqi dance company with a focus on developing individual artistic expression). Over her career Aubre have been apart of various collaboratives to bring creativity, culture, and community together in new ways. This included Belly Fusion Los Angeles (a collective focusing on the experimental side of bellydance fusion), LA Raqs (an online service offering calendars and listings connecting the greatly Los Angeles and Southern California community), and Creative Underground Los Angeles (a multi-genre art collective blurring the lines of inspiration and expectation across music, dance, film, writing, and more~ Idiosyncratic Expression from the Artistic Fringe of the City of Angels). Additionally she has produced a wide range of events and performances bringing the community together in celebration of Middle Eastern Dance including monthly haflas, dance festivals, long running showcases, workshops, intensives, lectures, and more. Stefanie Mari began her dance training with a variety western dance forms from an early age and has a dual degree from the University of San Francisco in Dance and African History. She has been studying and performing Bellydance and Arabic folk dance in Los Angeles since 2008 with a variety of both local and international teachers and is proud to be one of the original members of the Los Angeles Chapter of Qabila. In addition to Qabila, Stefanie currently performs with Aubre Hill's Lumina Dance Company and as a raqs sharqi and bellydance fusion soloist. When Stefanie is not dancing, she's busy teaching at GST Body in Hollywood, where she is also a part owner. Belen Garibaldi is an East Los Angeles native who comes from an artistic background in ballet and figure skating. When she was introduced to belly dance in college, she discovered her new passion. Over the years she has been under the amazing instruction and direction of Aubre Hill in Lumina Bellydance Company and currently in MAS Belly Dance Troupe, and Qabila Folkdance Co. She continues to grow and perform and feels blessed for having such great support from her family and friends that she loves so much. Alia is an ATS, Fusion and Folkloric dancer in the greater Los Angeles Area. She started dancing in 2010 after being inspired by the dancers at the Southern California Renaissance Pleasure Faire. She began studying American Tribal Style with Sooz Tribal, and was soon performing with her student troupe Azuluna. Being inspired by performing and her love for the Faire, she joined Seraphim Arabesque Ensemble, performing with them each season. Alia also has a love for folk music and folk dance which lead her to audition for Aubre Hill's Qabila Folk Dance Company. Currently, Alia is studying under Aubre Hill's mentor-ship and branching out on her own as a soloist. Alice Dee started taking traditional and fusion belly dance lessons in 2009. Since then, she has been performing in student recitals, haflas, and other events. She has danced in groups, duets and solos and has choreographed all of her solos and some duets. About 5 years ago, she had the pleasure to volunteer and teach basic belly dance techniques to female teenagers in a youth at risk program in Northeast Los Angeles. In January of 2017, she joined the Qabila Folkdance Co. This is the first dance company she's been in and is very excited to be a part of it. There she has learned, and continues to learn about, Arabic Folkloric dance and music. She loves dancing, performing, and especially growing and bonding with her Qabila family, a wish come true for her. Now after taking the first two courses of Journey Through Egypt here in Los Angeles, her new wish is to be able to travel to Egypt someday to study Egyptian Folkloric dance in person. Chloe Carrera first fell in love with belly dance and folk dance at a very young age. After 10 years of ballet training, she dove into her official belly dance studies at 15. Her teachers and mentors have included the fabulous Z-Helene and Sonya Taft, among others. She is very happy to now be studying and dancing with Aubre Hill and the rest of the Qabila family. Her other dance experience has also included two years as a member of a Ballet Folclórico troop, ten years in the Ballet Austin Academy, and years of Latin dance studies and social dancing. When not dancing Chloe also pursues acting opportunities, writing, sewing, and any other creative pursuits she can get her hands on. Deborah is a Fusion dancer with training in American Tribal Style and Tribal Fusion. She started studying ATS in 2015 with Cat Ellen and soon after began studying tribal fusion with Heather Shoopman and Susan Frankovich. She is currently studying with Aubre Hill to develop her own voice as a solo artist. Deborah’s interest in pursuing folk dance developed after attending workshops focusing on traditional Balkan and traditional Middle Eastern dance styles. As a new member of the Qabila Folkdance Co., she is eager to share the beauty and the culture of folkloric dance with others. Deborah brings a whole lot of heart to the Qabila Folk Dance Company. Although Eemah had been fascinated by belly dance when she was a teenager, it was not until her mid twenties that she was finally able to start learning the art of belly dance. Like many, she started off with videos and DVDs but decided a live class was the better way to learn. Initially, her studies began with Egyptian and American Cabaret; however, after falling in love with Tribal Fusion, she decided to first ground her knowledge by learning American Tribal Style and joined a troupe for four years. Upon completing Phase I of Rachel Brice’s 8-Elements program in 2017, Eemah developed a thirst and desire to learn more pertaining to not just different styles of belly dance, but most importantly, the histories behind them. In 2018, she joined Seraphim Arabesque Ensemble, the dominant belly dance troupe at the Original Renaissance Pleasure Faire in Southern California. In addition to studying Tribal Fusion, Eemah has also returned to studying Egyptian Raqs Sharqi and seeks to get more involved in the belly dance community. Sandee Ramirez is a designer by day, and performer by night. She started her dance journey after witnessing a belly dance troupe performance at the Renaissance Pleasure Faire 12 years ago, and has since expanded her dance repertoire. 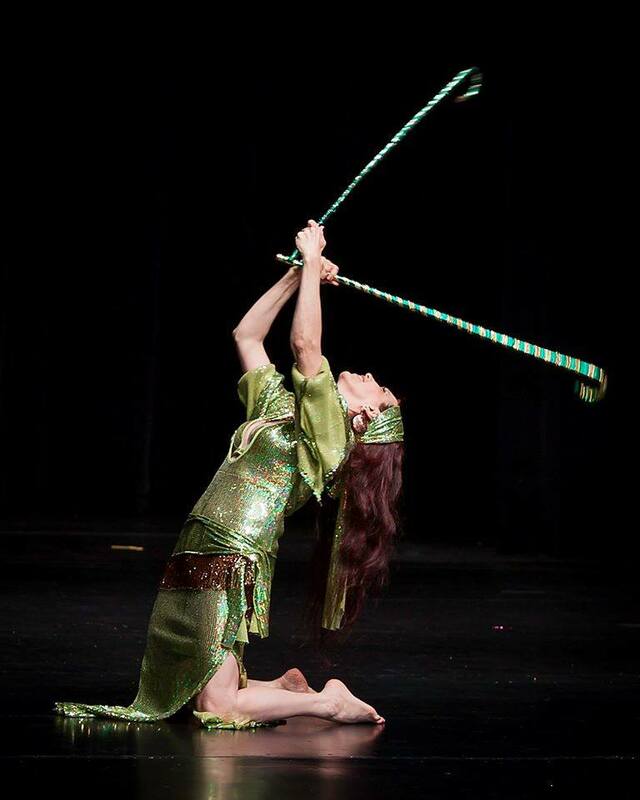 Along with Belly Dance, she is also an Aerial, Burlesque, Pole, and Fire performer. After becoming a member of the Seraphim Arabesque Ensemble, she attained certifications of completion for Journey Through Egypt 1 & 2 with Sahra Saeeda, as well as Rachel Brice’s 8 Elements Phase 2: Cultivation. Furthermore, Sandee is a certified 200hr RYT and formerly taught Aerial Yoga, Pole Dance, Floorwork Choreography, and Flexibility. Yuliya Lunessia began her dance journey with J. Erglis Smaltzoff's School of Ballet and Dance Art in 2002. In 2010, She eventually began her studies in Raqs Sharqi with Angela Buttrey, Shirin Raqs, Stefanya, and now Aubre Hill. Combining her passion for storytelling and her love of Ballet and Raqs Sharqi, Yuliya has developed a unique and fluid dance style of her own through local performances within the great L.A. bellydance community. Her curiosity for the beautiful culture behind Raqs Sharqi has lead her to study and perform with the Adam Basma Dance Company in 2012-2013, and now with the Qabila Folkdance Company. Yuliya is honored to be a part of the Qabila family, to be surrounded by such inspiring and diverse artists. Shanti Bardot (director) is a Bay Area bellydancer who specializes in Arabic Folk Dance, Turkish Roman, and collecting tiny instruments. Story telling through movement, cultural context, and musical expression are distinctive components of Shanti’s dancing. Dancing has been a lifelong passion for Shanti, having started bellydance at age 11 and pursuing opportunities for intensive training since age 17. Shanti performs as a soloist throughout the West Coast and is currently a performing director with Arcana Music & Dance and Qabila Folkdance Company BA. Aryn is a fusion dancer making her way into the Folk Dance Revolution that is Qabilia! While she still considers herself a baby of belly dance with 5 years of experience, she has learned a lot of her pervious instructors. Aryn has been given the opportunity to train with Sarah Adams, the women of Allegory Tribal Belly Dance, and Jo Chavez. As a new member of Qabilia, this is the first time Aryn has focused solely on folk dance. In her short time as a dancer, she has tried to learn as much about the history around Belly Dance and the many hats that it wears through its global reach. Her instructors sought to teach historical elements of the art form and how it's a truly expressive style movement that far surpasses the stage productions which the general populace sees today. Caitlin McNeely has had a long and fulfilling career dancing in her bedroom, at friends’ houses and in the crowd at live music shows since the tender years of early childhood. Dancing has always been her primary mode of expression and connection to self and joy. 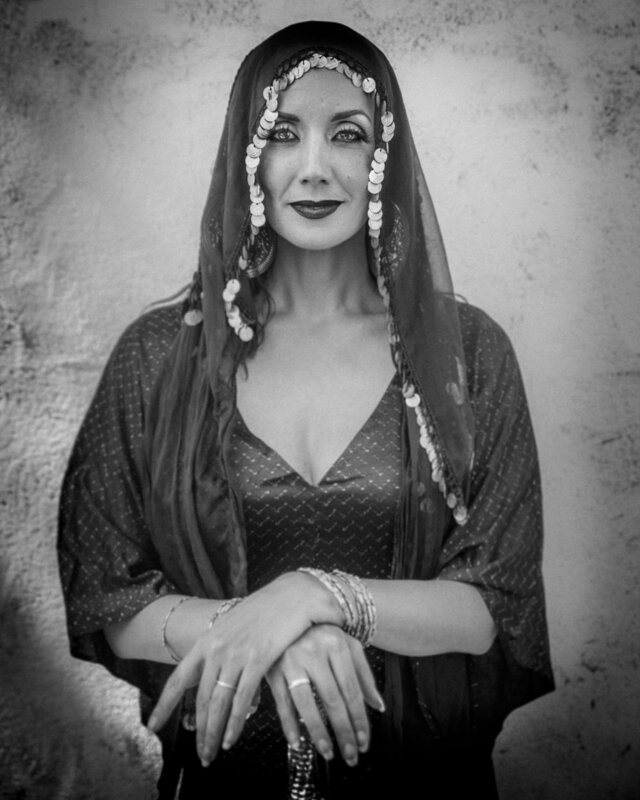 In 2016, she began studying belly dance in Houston, TX, and truly fell in love with the dance when she moved to Northern California and attended the Middle East Music and Dance Camp, where she had the opportunity to experience live Middle Eastern music from master musicians in the redwoods of Mendocino. Janan started learning bellydance in the 1980s in her hometown of St. Louis, Missouri, where she studied with Simone's Seventh Veil Dance Troupe, of which she was a member for about three years. She continued learning (with Sadia Camille) and performing while living for several years in Tokyo, Japan. She has trained with a number of instructors in the Bay Area including at the Suhaila Salimpour School (where she was Level 2 certified) and has been a student of Monica Berini for several years, concentrating mainly on Egyptian styles. She is a founding member of troupe Khamsa, which also focuses on folkloric dance. She has also been a student of Middle Eastern percussion with Mary Ellen Donald for more than 10 years. Joanna Wead was fortunate to stumble into her first Belly Dance class in San Francisco in 2009 and hasn't looked back. She immediately fell in love with the art form and has continued to study with top dancers in the Tribal Fusion genre and well as Turkish Roman. She has taught Tribal Fusion Belly Dance classes at The Oberlin Dance Company's prestigious dance school in San Francisco and continues to teach as a substitute. In 2017, she completed the first two of four phases of Rachel Brice's 8 Elements of Belly Dance and, completing testing, received certificates of recognition. Joanna currently performs with international star Jill Parker in her dance company, Little Egypt, as well as with the trio Serpentine Society. She is thrilled to be joining Qabila Folkdance Company’s Bay Area chapter this year. Karina Castellanos from Mexico moved to SF eight years ago. She has experience in Latin rhythms, contemporary, flamenco, and jazz. When she discovered belly dance in 2002 found her real passion and has been practicing and performing this beautiful art form since then. She has been a troupe member of Foxglove Sweethearts, Little Egypt, Blue Diamonds, and most recently join Qabila Folkdance Company. Karina is also an Expressive Arts Psychotherapist, and she loves to use this dance art form as a way to empower and foster cohesion among women. Karina is also a mother and leads a weekly Baby and Me Belly Dancing class at Natural Resources. Laura Elisabeth is a Bay Area based fusion dancer who is enchanted with movement and music and enthusiastic about her community. She took her first classes in Middle Eastern dance and tribal style belly dance in 2007 and has been studying dance intensively ever since with world-renowned dancers from the Bay Area and beyond. She has had the immense honor to work and perform with groups such as Deshret Dance Company, Ego Umbra, MotherLode, SpinOff Tribal, Standfire Collective and Forlasi. Currently, Laura can be found taking as many dance and music classes as she can, expressing her unique solo style at local dance events, and performing with companies including Arcana Music & Dance. Her studies have guided her to folkdance - the roots of belly dance - and she is ecstatic to continue her journey and spread her love of the art with her new Qabila family. Mirriam Rafiq Braden (Mims) is a music & dance lover. Born in Pakistan, she relocated to the Bay Area and studied ballet and jazz at an early age. She rediscovered dance as an adult when her love of Middle Eastern music led her to a belly dance class taught by master teacher Jill Parker. Fourteen years later, she still studies with Jill and is a guest dancer with Jill Parker's Little Egypt. She first taught tribal fusion belly dance while living in Vietnam in 2006 and is currently a substitute teacher for ODC's beginner belly dance class in San Francisco. Mims is in love with the Bay Area world dance community and is passionate about using her background, her bicultural heritage and her degree in International Public Health to teach and learn through dance.